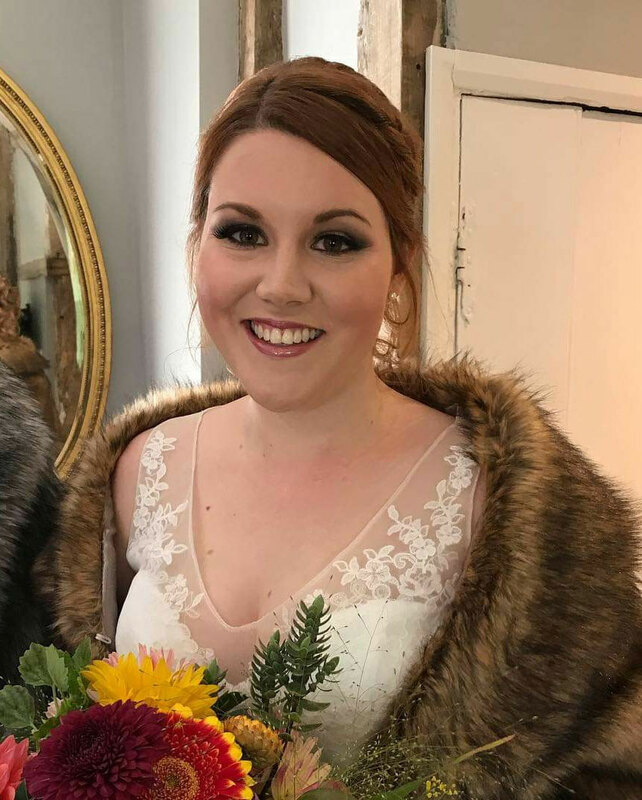 "My approach to make-up is to work with you and if necessary, incorporate your favourite cosmetic items or that black eyeliner you won't leave the house without!" ★ For the very latest styles, click here! Please click on the thumbnails for the larger image. Make-up can be a very personal thing; you may like your lip liner to be just 'so' as you think your lips are a funny shape. Or you may have over plucked your eyebrows as a teenager and have a definite way you want them … that's fine. 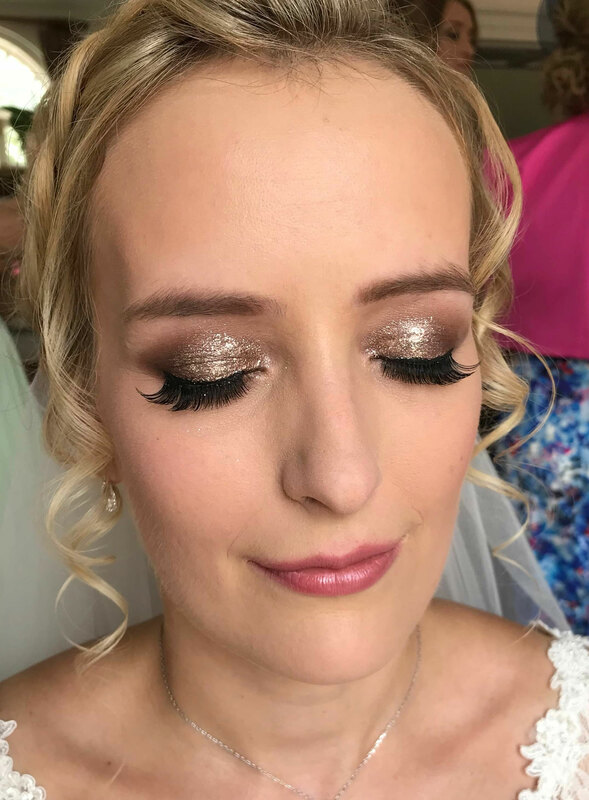 My approach to make-up is to work with you and if necessary incorporating your favourite cosmetic items or that black eyeliner you won't leave the house without! ★ What style suits me? Alternatively, you may want me to do what suits you and I can apply what I think would look best. I will then gladly apply products and colours to enhance your features and compliment the wedding's colour scheme. 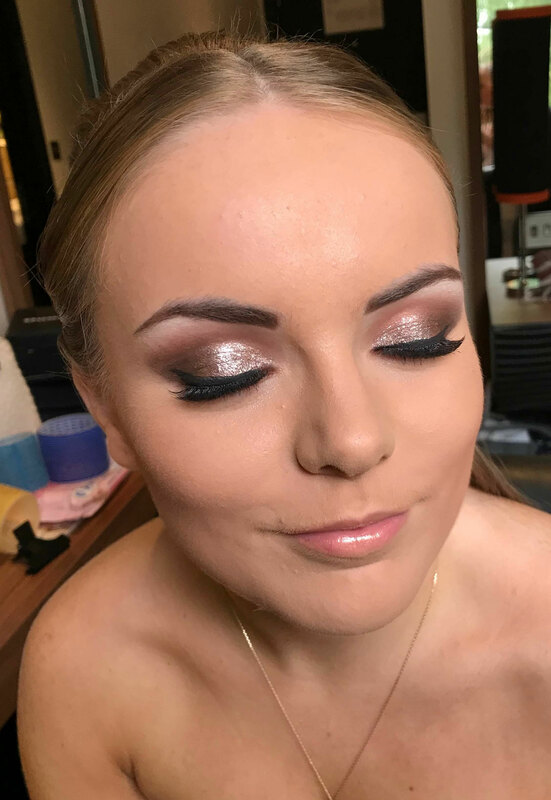 Some brides have no idea about make-up and call me in to help as they feel they should for such a special occasion. There are ways of making your make-up look 'barely there' and still look good in the photographs. Some brides are used to applying make-up but want to look that extra bit 'done' and create impact. Either way I can accommodate the individual and have no 'standard' make-up look. 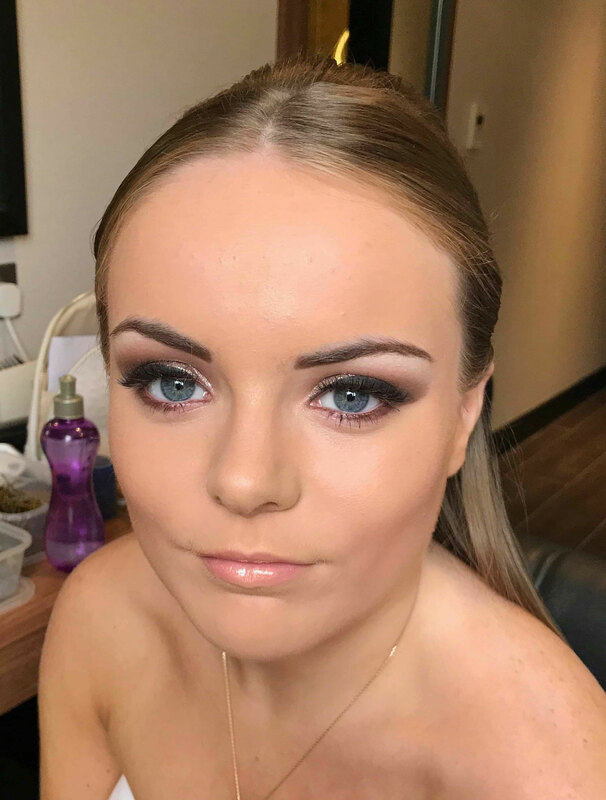 I use a variety of cosmetic ranges that I have found work perfectly and are long lasting. You will look great in the photos and up close in person. If you have sensitive skin we can work together and avoid the ingredient(s) that cause you problems. Please note that none of the photos in the gallery are studio shots. All were taken on actual wedding days. A huge thanks to all of them and their photographers for allowing these pictures on my site.